In the nearly four years that I have been a part of TeraThink, I have seen our efforts in the community increase in several ways. While providing financial assistance to our community partners is still a priority for TeraThink, we are now looking for new ways to help and spread the missions of organizations. 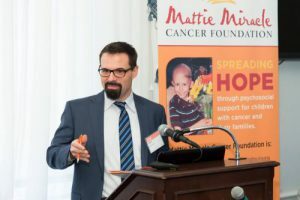 The Mattie Miracle Cancer Foundation, for example, is one of our most important community partners. As the Presenting Sponsor of the Mattie Miracle Walk and Family Festival, we are able to help share the mission of the foundation with them at their premiere event each year. Beyond the sponsorship, two members of our team recently volunteered to facilitate a Congressional Roundtable on Capitol Hill. TeraThink helped advocate for some of the legislative causes that Mattie Miracle pursues. 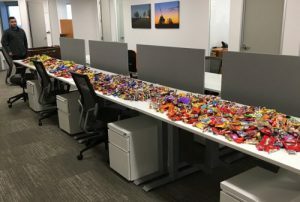 We have also held candy sorting parties, where the TeraThink family can donate Halloween candy to Mattie Miracle. This helped stock their snack carts in local children’s hospitals. We want our employees to feel inspired to support organizations that are personally meaningful. As a result, TeraThink instituted an Employee Charitable Gift Matching Program. Through this program, TeraThink will match any charitable donation up to $250, no questions asked. Additionally, we recently announced that all employees will be allowed up to 8 hours of Volunteer Time Off. Employees can use this time to support the causes that are important to them. In some cases, we realize that causes that are important to some fit in with our overall corporate direction. This empowers TeraThink to go above and beyond Employee Gift Matching. One employee brought to our attention the efforts that the folks at the Children’s Inn at the National Institute of Health are working on. After personally visiting the Inn, we decided to increase our efforts. Later this summer, we will be sending 12 employees to cook dinner for all residents at the Inn. We will also be making care packages for all kids staying at the Inn. Furthermore, just last month we held a Skee-Ball tournament to raise money for supplies to donate to the Inn. 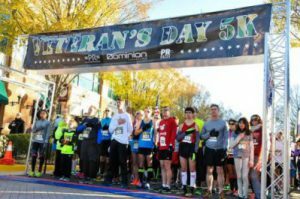 Be it purchasing Christmas presents for Veteran’s families as part of the Our Military Kids organization, holding a 5k race to support Team RWB, or serving on a board for the Georgetown Lombardi Cancer Center, TeraThink remains very active in the community. Are you interested in learning more about the causes we support or want to know how you can get involved? We would love to hear from you!